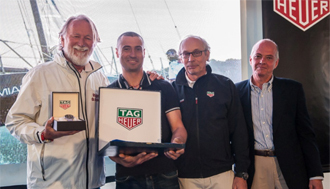 On 7 May, during the night of champions at the VELA-Festival in Santa Margherita Ligure (Italy), the annual Italian event dedicated to the world of sailing, Giancarlo Pedote was voted “TAG HEUER Sailor of the Year 2016”. 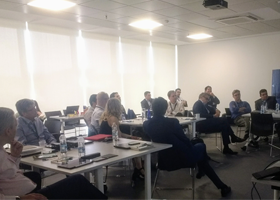 This award has been presented to an Italian sailor every year since 1991 and is based on a vote by a prestigious jury from a shortlist of five candidates selected in several stages, starting with an online poll. Vendée Globe is the hardest and most famous sailing race in the world. Nicknamed the Everest of the Seas, it involves sailing around the world alone, without stopping and without assistance, setting sail from and finishing in Les Sables d’Olonne, after rounding the three legendary capes: The Cape of Good Hope in South Africa, Cape Leeuwin in Southern Australia and the infamous Cape Horn at the tip of South America. This title joins the long list of those already held by Giancarlo Pedote: Champion de France 2015, Champion de France Promotion Course au Large en Solitaire 2014 and 2013, Italian Sailor of the Year 2013, and two first places in the Mini class world ranking (2014 and 2013).